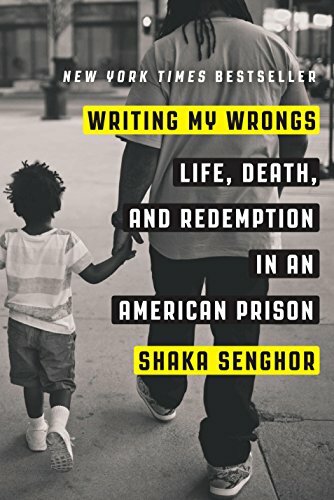 SHAKA SENGHOR: I think the thing that causes relationships to become toxic are many-fold. I will start by saying: pessimism. Being around people who are pessimistic about life is, to me, one of the greatest obstacles that stands in the way of greatness, success — whether it's in the workspace, whether it's in your personal life. Self-pity; people who tend to wallow in self-pity are, to me, some of the most toxic, especially if you have close proximity to them — intimate relations or your work spaces — because that energy begins to translate, and it dims the room and it's just really unsettling. To me, I think it's one of the things that we don't evaluate enough in our lives, are the people that we allow to share our mental space. And when you're allowing somebody to share your mental space you have to think of it like a pristine house. So you have this beautiful home, and when you welcome people to your beautiful home you will want them to treat it the way that you treat it and care for it. So you wouldn't want them to walk in with some muddy boots and just come in trashing the place, but we don't think about that when it comes to welcoming people into the interior of our minds and our hearts. And so a lot of times we'll have people in our lives who wear those mental muddy boots and they'll just come in and trample all around our mental space and we don't even think nothing of it because we want to be a "nice person," and we don't want to say things that may come across as mean. But I think it's important to recognize the people that you welcome into your life, recognize the quality, the shared value systems, and realize when they're being hurtful or damaging to your own sense of peace and confidence and mental well being. I think toxic relationships are some of the most time-consuming relationships. You're constantly trying to correct behavior, you're constantly assessing yourself based on those relationships. I grew up in an abusive household and the abuse that probably had the biggest impact was the things that was said to me and how I replay those things over and over in my mind. So you spend so much time in your own head second-guessing yourself, doubting yourself, and you can't be as productive and as successful as you're capable of as long as you're allowing that energy to take residence in your mind. And it impacts every aspect of your life; you're not showing up as your full self; you can't be happy. And even with the idea of happiness, I think that we are delusional about what happiness is. It's not this sustained thing, but it is access to a part of ourselves that allows us to have joy. And so when you think about what do you need in order to have that, it has to be fulfillment. And you can't have fulfillment in your life and in your work space as long as you have toxic people occupying those spaces. So I think the way that you prevent a relationship from becoming toxic is you have to set real boundaries. Those boundaries start with: What are the expectations? What are the rules of engagement? What is acceptable behavior? What is acceptable treatment? And that starts with you setting the standards for yourself. How do you show up in your own life? How do you treat yourself? What do you expect from yourself? And that extends outwardly. And what I found is that when you're dealing with people who are toxic, sometimes they don't even realize they're toxic because they're just repeating the cycle of hurt people hurting people. And even though all toxic relationships don't show up as necessarily intentional hurt, it can be intentional hindrance or unintentional hindrance. And so to me you have to set those boundaries very early. And once a relationship has already become toxic you have to make a choice in terms of what do you value more: Do you value your peace of mind and sense of purpose more than you value the relationship? And once you recognize what you value then you have to share that with a person that may be toxic in your life. And what I found is that it is very hard for people to end friendships. It's very hard for people to work in an environment and not communicate or interact with a coworker, even though that coworker may be toxic. So it takes a certain level of courage, it takes a certain level of value of who you are as a human being to say, "You know what, this isn't working and we need to sit down and we need to talk about this." And I believe in confronting things head on. If there is somebody who is toxic in my life I'm very explicit that "Hey, here is what's happening and here's what doesn't work for me, and here are some steps we can take to ensure that if we're going to interact with each other that it's in the healthiest way possible?" And if they're not willing to step up to the plate to accept those terms of agreement then I have to terminate that contract.